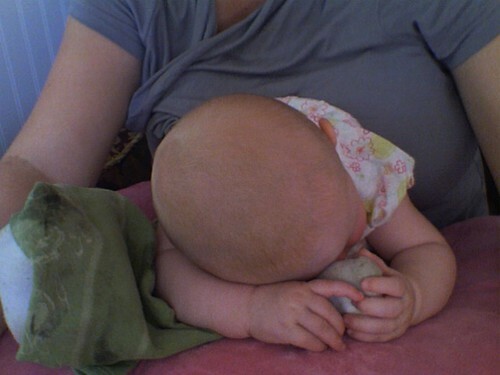 Isla fell asleep while sitting on my lap. She is doubled over forwards holding on to her foot. Not sure how long this will last, but it's super cute!